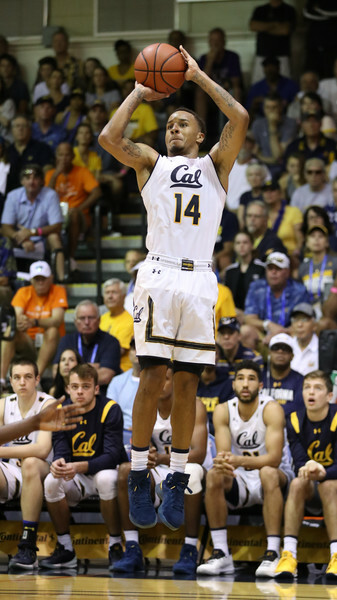 Using a press and a huge edge on the glass, the Shockers stunned the Golden Bears with a memorable comeback to reach the Maui semifinals. 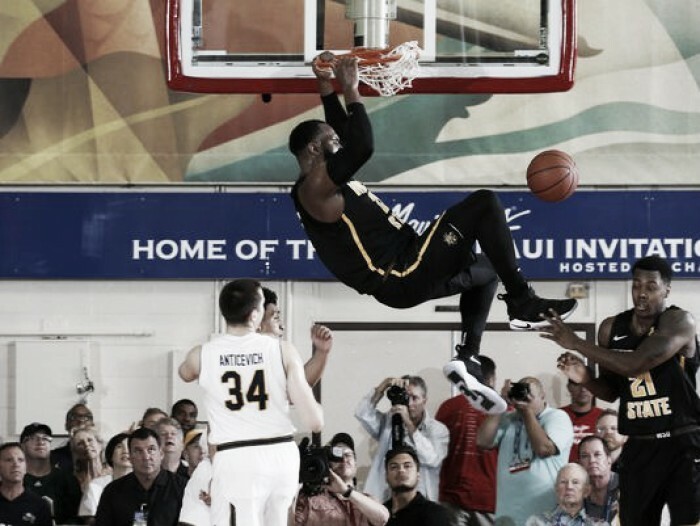 Shaquille Morris scored 25 points and Landry Shamet added 23 and sixth-ranked Wichita State rallied from an 18-point deficit to beat California 92-82 on Monday in the quarterfinals of the Maui Jim Maui Invitational. Don Coleman carried the Bears with 26 first-half points and finished with 35 for his third game of at least 30 points this season. Justice Sueing had 20 and Darius McNeill 16 for the Golden Bears. 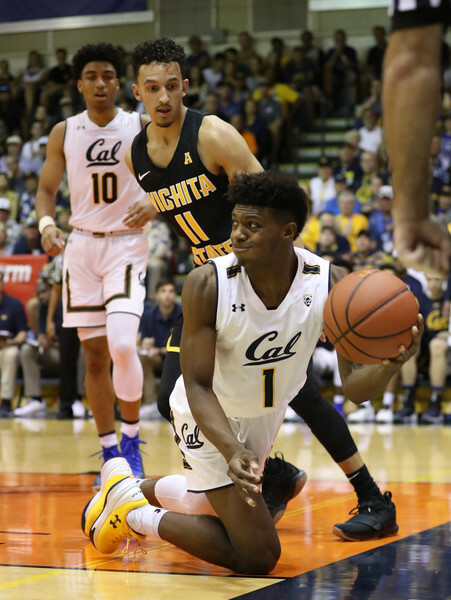 The Golden Bears used their pressure defense to force Wichita State into early mistakes, racing to an 11-point lead in the game's opening five and a half minutes, building a nine-point lead by halftime. The Shockers were cold to begin the game, making just 4 of their first 18 shots and Cal stretched the lead to 29-15 behind Coleman, who had 17 points in the opening 13 minutes. Wichita State, a team that returns all five starters from last year-s 31-win club, was without senior forward Markus McDuffie, who continues to recover from a stress fracture in his left foot. After Sueing's three-pointer put Cal up 58-40 four and a half minutes into the second half, Shockers coach Gregg Marshall decided to switch up his defense and go into a full-court press, which turned the game around. Through a string of turnovers, Wichita State scored ten straight points during a 14-3 run that cut Cal's lead to 61-54 and they were even with five minutes to play on Samajaye Haynes Jones' layup at 76. A late 8-0 run gave the Shockers the lead for good, who converted 19 Golden Bears turnovers into 29 points. They also outrebounded Cal 46-26, due in part to Kingsley Okorah and Marcus Lee both fouling out. Cal coach Wyking Jones was pleased with his team's effort, but knew experience was a key factor in how his young team handled the Wichita State pressure: Well, you know, it's a fine line. You want to be aggressive because at that point you have a numbered break. It's two against one at that point. So it just takes some savvy. "When to look to score, when to pull it out. I think a couple times in the second half we would have been better served to pull it out because we had the comfortable lead. We stayed aggressive, and I can't fault our guys for being aggressive. But moving forward, we can learn from that". Coleman spoke about his incredible first half: Yeah, well, I felt kind of hot. I felt like I was going to have a good game. Once I hit a couple threes in a row, I knew I had my rhythm going. "In the second half, they made a couple adjustments, but we decided to get the ball to Marcus and King more. It wasn't just me trying to come off the screen and score, it was more playing through the bigs. I really think that's what it was".